When it comes to hiring top performers, HR professionals know they have to use their resources effectively and go to where those talented workers are online. According to an infographic by Staff.com, 93 percent of businesses turned to LinkedIn as part of their recruiting strategies in 2012, a significant increase from only 87 percent and 78 percent that did so in 2011 and 2010 respectively. So many companies are using online social networking sites to hire candidates because scoping out candidates is more efficient in terms of time and money than other types of recruiting platforms. The infographic noted 20 percent of companies consider recruiting new hires from social media to take less time to bring in new hires than other forms of hiring, and 42 percent have seen their quality of hires improve just by using social media as part of their recruiting. Yet HR professionals must always be aware of the legal risks associated with recruiting workers on social media. Essentially, HR representatives should be conscientious of what they should and shouldn’t do when hiring employees through social media job postings and tools. According to Human Resource Executive (HRE) Online, there are legal risks with not having a policy in place for using social media during recruiting. HR departments need to have social media procedures or put their businesses at risk of legal consequences if HR professionals gain information they shouldn’t have because they are recruiting through social media. An attorney in Boston gave HRE Online the example of an HR professional finding out a candidate’s sexual orientation from looking the person up on social media. The HR representative wouldn’t have received this information through other methods, and if the company eventually hired another person for the position, there is the risk that the original candidate can come back stating he or she was discriminated against because of his or her sexual orientation just because HR professionals were using social media. It should be noted that sometimes the law isn’t always up to date. HR professionals must be aware that there are new social media apps coming out every day, so the law can be behind in what is truly happening on social media, according to Business 2 Community. This means that while HR professionals may be in compliance with social media and employment legislation at the present, they may be putting themselves at risk of a lawsuit if candidates or employees question how they use social media. According to Business 2 Community, HR professionals shouldn’t utilize social media as a recruiting strategy without first considering the legal risks. The best way to protect the business legally and still recruit the most talented new hires is to always use certain best practices. Business 2 Community advised HR professionals to never ask candidates or workers for their personal social media information. Not only can this represent legal risks, but it can damage the company’s reputation. HR professionals should also treat social media as they would any other channel in which they would meet candidates. Remaining respectful and professional during communications is essential for applicants to get a good impression of the company and feel as if they are truly being recruited, not part of a spamming scheme. 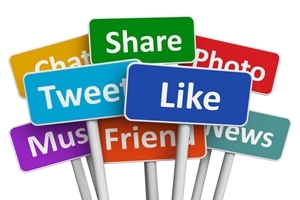 Another important consideration is to have an overarching policy regarding social media recruitment. HRE Online noted that HR departments need to have one so every HR professional understands what they can and cannot do, which can make a difference to how the company remains in compliance with employment and privacy laws. There are many other best practices out there HR professionals can utilize to optimize their social media recruiting without putting themselves in legal binds. These best practices continue to evolve, but there is one that doesn’t: networking with peers. HR representatives should consider building relationships with other HR professionals to gain more knowledge of what does and doesn’t work when recruiting through social media. Sometimes, sharing experiences with colleagues can help HR professionals learn new tips and best practices they would not have otherwise come into contact with. Lastly, using some of the latest social media tools can help HR professionals improve their social media recruiting. According to ERE.net, Social Recruitment Monitor is a free tool that provides HR professionals with measurements on retweets and video views, just to name a few. Another ERE.net article noted Quora is a good forum to answer questions from potential candidates, giving recruiters an inside look into their expertise and how certain candidates think and their expertise. This blog post was originally published by the Sage HRMS Team.